Ready for something sweet?! After being diagnosed with allergies, I was determined to find alternatives to chocolate that still actually tasted like chocolate… I just couldn’t give it up! To my surprise, there are many dairy free and vegan chocolate chips out there that truly taste like the real thing, and actually are more chocolatey because they are made from actual cocoa. So, I recently made a sweet treat that I hope you enjoy. Melt the vegan butter and sugar in a bowl in the microwave, about 30 seconds. On a cookie sheet, break up the crackers with your hands so they are small pieces but not finely ground. Make sure they stay close together, with no gaps in between the pieces. Pour the brown sugar butter evenly over the crackers. Bake at 375 degrees about 15 minutes, just until edges of the crackers start to brown. Pour the chocolate chips evenly over the crackers. Put back in the oven for 2 minutes. 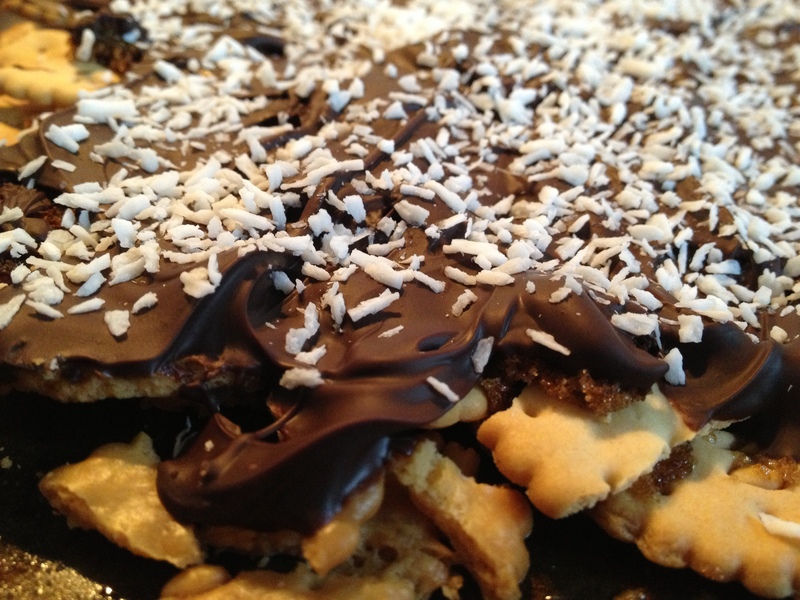 Using the back of a spoon, spread the chocolate over the crackers so it melts and covers. Sprinkle the sea salt and coconut on top. Put in the fridge to cool for 45 minutes. Once it is cooled, take it out and break it up into pieces. Try to eat just one! With the spring weather coming (or already here? ), you can start to see the increase in vibrantly colored vegetables available. To someone who’s diet is half fruits and vegetables, this excites me! 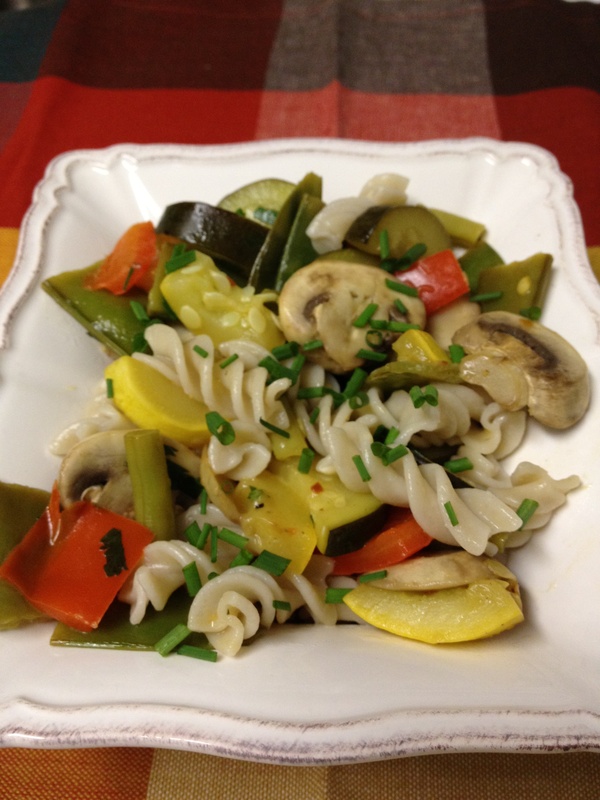 So this week I made full use of the vegetable section at the grocery store, and made a healthy, vegetarian, and pumped up pasta primavera. In a large saute pan over medium heat, saute the chopped zucchini, yellow squash, red pepper, and green beans with olive oil, sea salt, lemon pepper, and lemon juice. Saute until barely tender (about 7 minutes), stirring every few minutes. Add the mushrooms, snap peas, lemon rind, rosemary, and basil. Saute for another 5 minutes, until vegetables are crisp but tender. 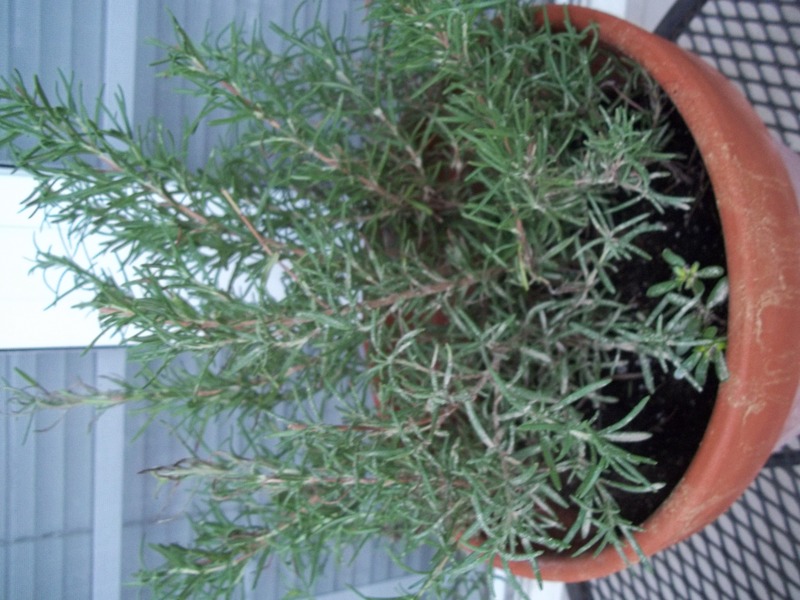 Remove the rosemary and basil when done cooking. While the vegetables are cooking, cook pasta according to package directions. When the pasta is done and drained, put it back in the pan with the butter and parsley. Stir until butter is melted. Add the vegetables and stir until combined. 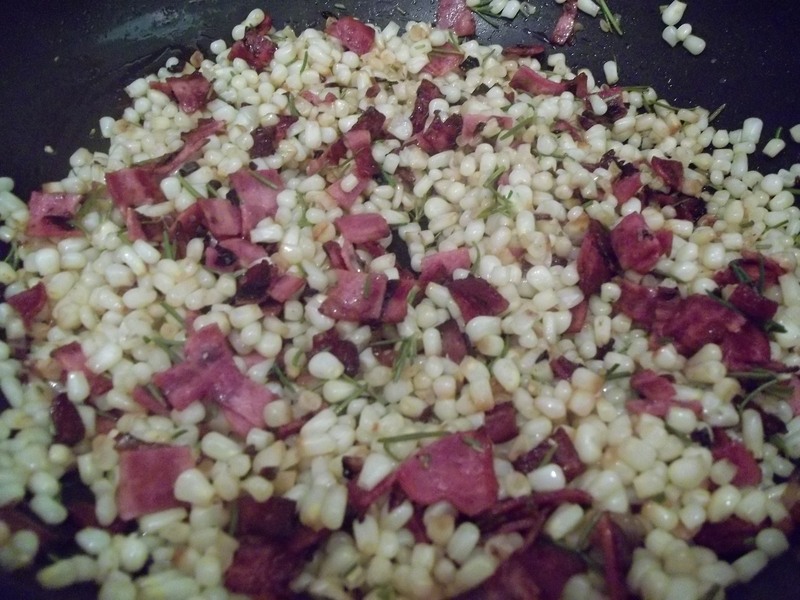 Serve hot, with chopped chives and salt and pepper on top. I love this recipe because there are so many variations and you can really make it your own… choose your favorite vegetables, spices, protein sources. Hope you enjoy! Weekend mornings are a time to sleep in, enjoy a big mug of coffee, and make a big breakfast… at least mine are! This morning, I made hash browns with sweet potatoes, onions, and paprika and then started thinking about all the different combinations you could make with this base. The sweet potatoes and onions are delicious on their own, but if you were making a big breakfast, there are plenty of add ins you could use. Combine all ingredients in a saute pan. 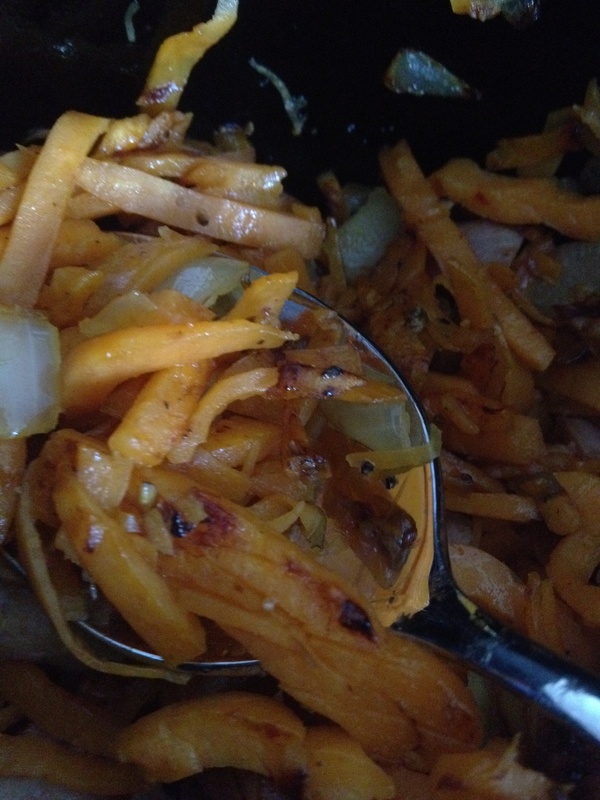 Stir 5-7 minutes over medium heat, until sweet potatoes and onion get tender. Serve hot with your favorite breakfast add ins. This past weekend, I was able to catch up with a few of my cousins and share a home cooked meal. My cousin, Colette, lovingly made an entirely “Lauren friendly” meal. It always touches me when friends and family tell me about gluten and dairy free products, articles, and restaurants they find… but my cousins went above and beyond. They covered every angle of my restrictive diet without even blinking an eye, with the attitude of “it’s an adventure, and we are going to do it with you!” That’s love. There was perfectly cooked steak (thanks, Jim! ), oven roasted potatoes, corn salad, tomato and avocado salad, and fruit sorbet with a gluten and dairy free treat for dessert (thanks, Diana!). And they even got soy milk for my coffee the next morning, with my favorite Van’s waffles and turkey sausage! 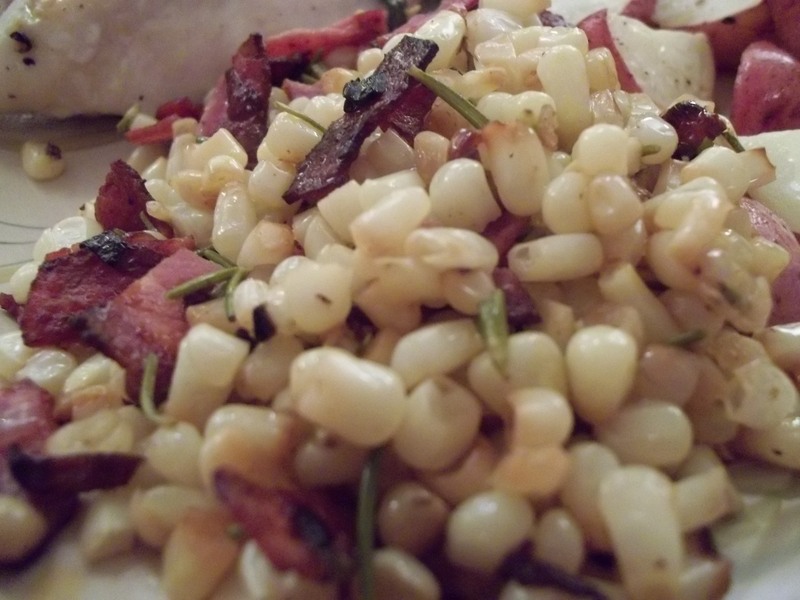 The most interesting part of the meal was the corn salad… now known as “Colette’s Corn Salad.” Colette had tried it in a restaurant and recreated the recipe from her own tastebuds. So I, of course, had to have the recipe and recreate it! 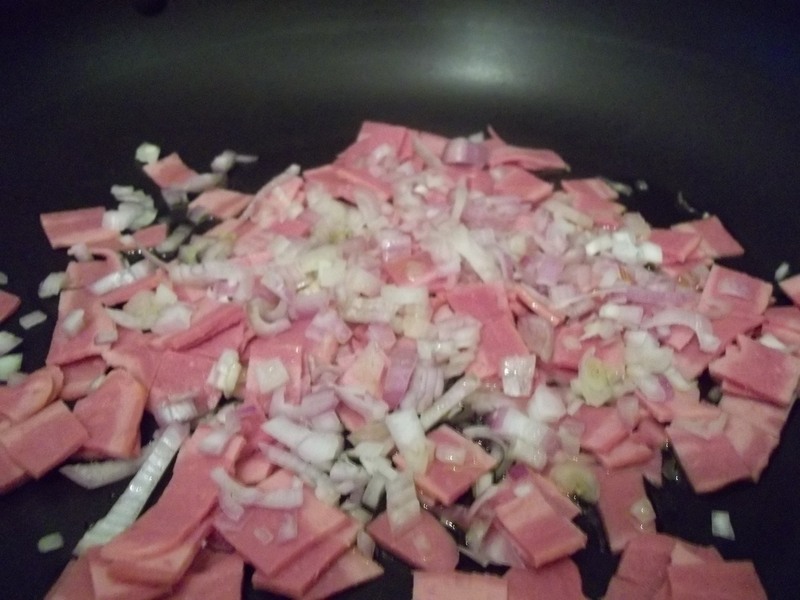 In a large pan, saute chopped onion (I actually used a shallot that was on hand) and chopped bacon. (I took about 5 bacon strips and cut them into small pieces.) Add a little bit of olive oil, and stir frequently. 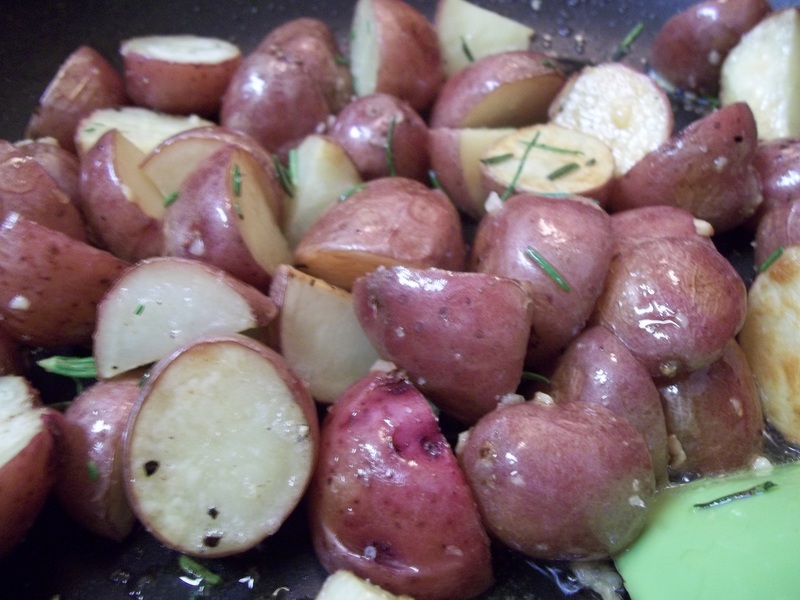 Also add a few tablespoons of chopped rosemary (this is the secret, must have ingredient). Stir in another tablespoon of olive oil and a few shakes of sea salt. Stir and cover until cooked and heated through. 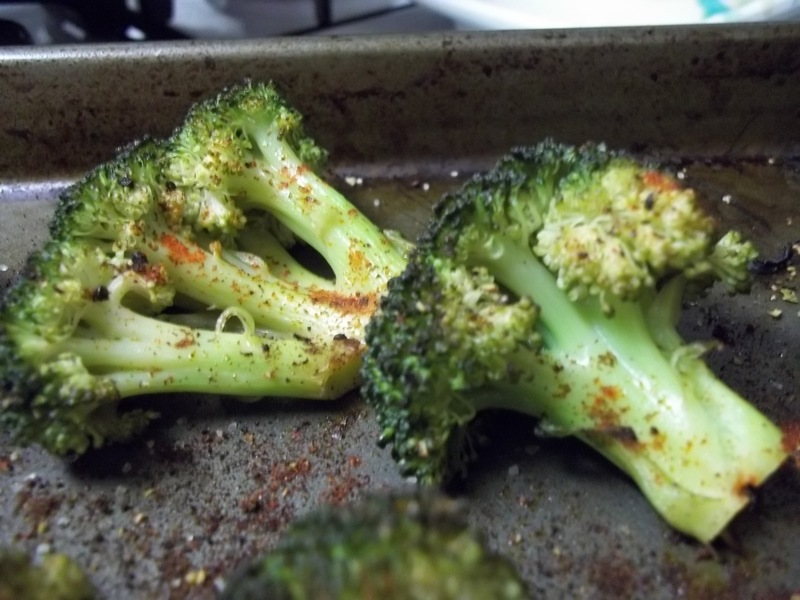 My new favorite side dish… seriously delicious! Happy Allergy Free Eating.